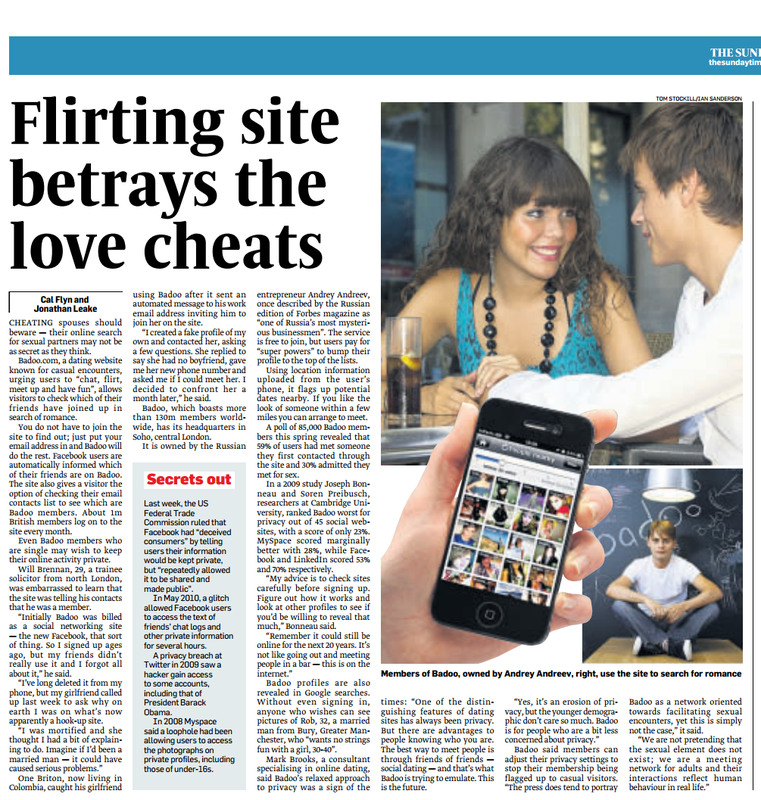 More on social media and privacy: this time, a well-known hook-up website which allows visitors to check which of their friends have already joined up. Badoo uses a tactic which is becoming more and more common in social media sites: ‘opt out’ privacy settings. It means that unless you are very, very careful about how you join, it will advertise the fact that you have joined up to all your Facebook or email contacts. For some, this is no problem, for others (e.g. those who are married) it could result in disaster. When we were reporting on Badoo, everyone in the office had a shot at running their contacts list through to see who had joined up… let’s just say the results were surprising and amusing. Lesson one: if you are going to join these websites, and you value your privacy, be very careful and always read the small print.